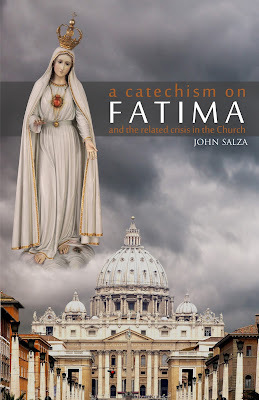 A NEW BOOK BY JOHN SALZA --- AVAILABLE NOW!!! This book is for everyone – Catholic or Protestant, believer or unbeliever – because the Message of Fatima is for everyone. In 1917, the Blessed Virgin Mary appeared to three shepherd children to reveal frightening events that would affect humanity in the twentieth century and beyond, and provided us the only solution to world peace – the papal consecration of Russia to Her Immaculate Heart. The Virgin also authenticated her message with the most spectacular public miracle (the Miracle of the Sun) in world history. Some of Her prophecies, like Word War II, have already come to pass. Others, like the violent execution of a Pope and other faithful in a city in ruins, and the annihilation of various nations, remain for the future, depending upon obedience to Our Lady’s requests. Salza leaves no stone unturned. 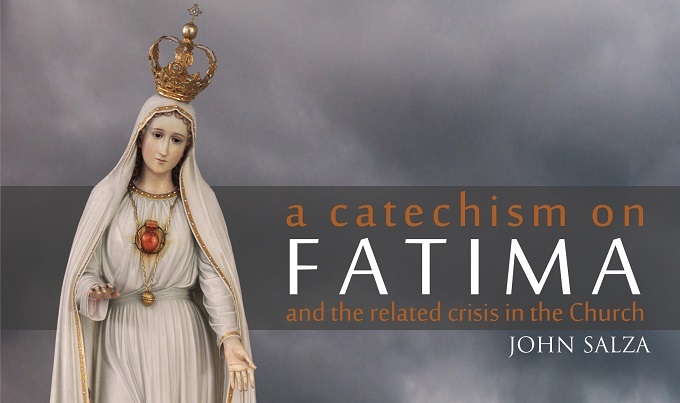 After providing a brief introduction to the basics of Fatima, he uses his legal skills to examine the evidence and address the controversy surrounding the consecration of Russia and the terrifying prophecy in the Third Secret of Fatima. His thorough approach will help the reader understand why the current crisis in the Church and the world (including the evils in the Church and the loss of faith) is at the heart of the Fatima message, and that the crisis is about to get much worse, if the Virgin’s requests are not timely heeded - and time is very short. Copyright © by John F. Salza. All Rights Reserved. Webmaster: Laurence Gonzaga. Simple theme. Powered by Blogger.